I am just gonna say it. 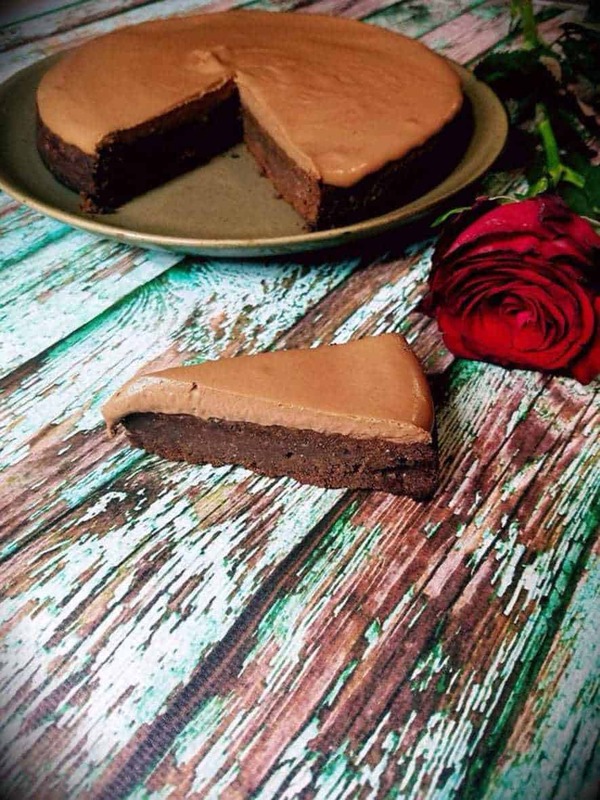 This Keto chocolate mousse cake is the total bomb! I have made a few variations of this cake and they all taste totally amazeballs! It is the right amount of dense cake and so soft fluffy mousse. 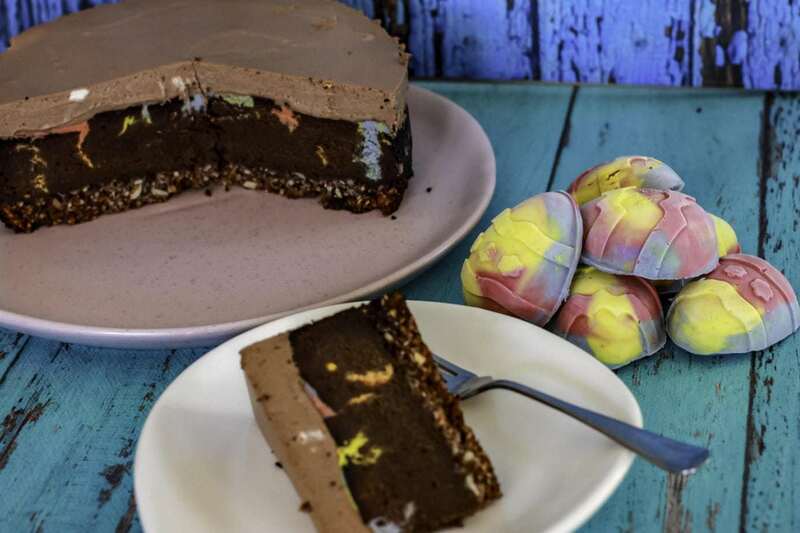 This pic above is of my Jaffa Mousse Cake with Unicorn Cheesecake injections and a “Chocolate Crackle” base. It was so good! It was for my 46th birthday would you believe. I wanted to make something a little silly and juvenile to look at, but with a mature palate. Oh an my “homage” to chocolate crackles (a real favourite of my childhood) are so incredibly good. Salty, chocolatey and crunchy. 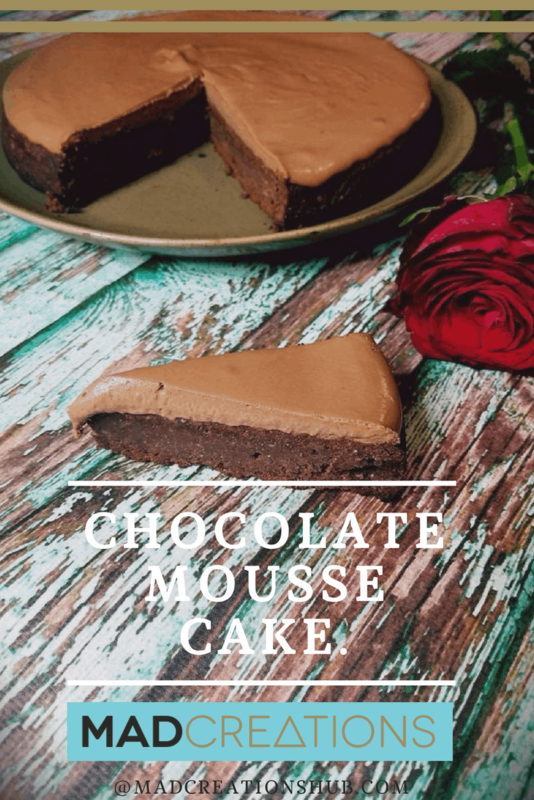 Any way you choose to create your version of the Mousse Cake I have no doubt that you will truly love this recipe and make it many many times. One of my all time favourite cakes and I have no doubt that it will quickly become one of yours. Grease and line a 22cm cake pan. Melt chocolate in a heat proof bowl over a saucepan of simmering water, then set aside to cool. Beat butter and sweetener in a bowl until thick and pale, then add egg yolks, one at a time and beating well after each addition. Add the melted chocolate, vanilla and almond meal and mix until combined. In a separate bowl, beat egg whites until stiff peaks are formed, and then fold into cake mixture. Spoon the mixture into the cake pan, then bake for 10 minutes. Reduce the heat to 170℃, then bake for another 7-10 minutes. Take out and cool on a baking tray. Top with Chocolate Mousse and refrigerate to set. Insert butterfly and whisk egg whites 3 minutes / speed 3.5 or until stiff peaks form. Scrape into a bowl to reserve. Add butter and sweetener to bowl and mix 3 minutes / speed 3. While it is mixing remove MC and add egg yolks one at a time, beating for 10 seconds between. Add the the melted chocolate, vanilla and almond meal, and mix for a further 1 minute / speed 3 until well blended. Fold into egg whites and follow cooking instructions as above. Easily one of the best recipes EVER!